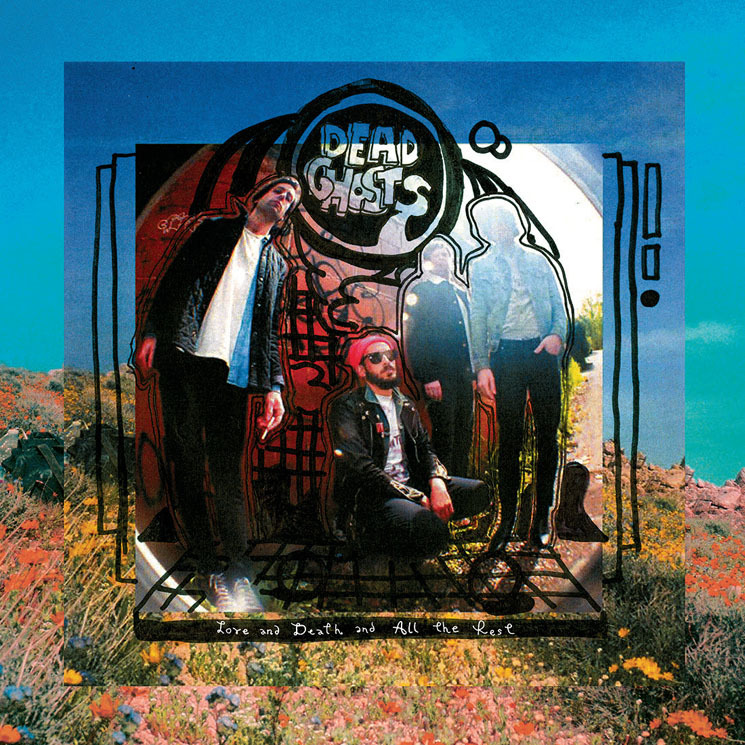 Vancouver-based garage rockers Dead Ghosts recently reissued their 2010 self-titled debut through Burger Records, but now they're looking ahead with the announcement of a brand new full-length. Given the all-encompassing title Love and Death and All the Rest, the new set of songs is due out on October 16 via Burger. It will be the band's third album and follows 2013's Can't Get No. Love and Death and All the Rest hears the band taking a refreshing DIY approach to recording, eschewing a standard studio in favour of a dilapidated barn on the outskirts of Vancouver. According to a press release, the self-produced album features a slightly more restrained feel, opting for a "fuller, less abrasive sound" than heard on previous releases. The first sampling of that can be heard on the new single "Drink It Dry," which has been given an accompanying video. The clip features grainy footage of the band on a walk through a cemetery, though things get a little weird upon a meeting with a mysterious spiritual leader. The song itself is a charming blend of bluesy riffs and psychedelic pop, and you can scroll past the new album's tracklisting to check it out in the player below.